Over the last couple of decades, the internet has flourished as a tool for small businesses to grow, innovate and prosper. 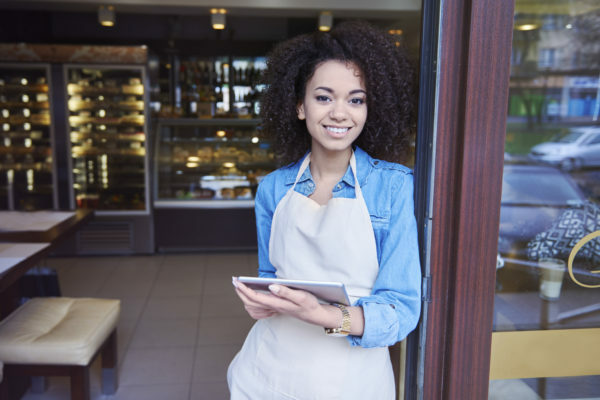 New businesses and business models enabled by connectivity have ensured that America’s small business sector is one of the most competitive in the world. Since the internet’s inception, regulators on both sides of the aisle took a respectful, “light-touch” approach to internet policy as they were fearful that intrusive regulation would impede its growth, development and usage. They were right, and their approach worked – the internet and innovation exploded! But under the Obama Administration in 2015 things changed dramatically. Federal Communications Commission (FCC) Chairman Tom Wheeler imposed heavy-handed “Title II” regulations, subjecting internet access to heavy and antiquated regulatory burdens from the 1930’s. In essence, the FCC decided to treat the internet like a utility and regulated it in a similar, complex and costly manner. As a result, investment in broadband deployment dropped by billions of dollars and new red tape and bureaucracy stifled innovation where it once flourished. America’s small businesses ended up paying the price for unnecessary regulation, especially small internet service providers (ISPs), which provide broadband and internet connections to rural and underserved communities across the country. Thankfully, the current FCC Chairman, Ajit Pai, changed course. In 2017, the FCC approved the “Restoring Internet Freedom Order,” which brought back the light-touch, bi-partisan framework of the past. The less intrusive regulatory environment has re-opened the doors to greater investment in broadband deployment, increasing innovation and opportunities for small business owners, start-ups, and entrepreneurs across the country. But the fight for internet freedom is not over. Online activists are aggressively lobbying Congress to reverse course and return to the outdated Title II approach – a framework we know doesn’t work. They are using a legislative manuever called the Congressional Review Act (CRA) to restore the Title II regulations. This CRA is not the answer. Beyond hurting broadband access and investment, resurrecting the misguided Title II regulations would mean data-rich, big-tech companies get an exemption from consumer privacy rules. Entrepreneurs and consumers certainly do not need any more data privacy fiascoes like the ones making headlines during the past year. Instead, Congress needs to advance bipartisan legislation that addresses real 21st century challenges and ensures an open internet with rules that apply to all players on the internet. Doing so would not only bring regulatory certainty, but also incentivize investment and position small businesses to better compete in the digital economy and global marketplace. Call your U.S. House member in Congress now at (202)-224-3121 today and tell your Representative to vote NO on the CRA. Supporting the CRA means supporting intrusive regulation that will increase costs, and erect barriers to broadband access and deployment. This will hurt small ISPs, economic development in areas of the country that need quality broadband, and hurt small businesses like yours. To find your member of the U.S. House of Representatives click here. The CRA to Resurrect Archaic Regulation of the Internet Will Harm Small Business, Letter to U.S. Senate, May 16. Small Business Week and The Digital Economy: Internet Freedom is Fundamental to Entrepreneurship and Small Business Growth, April 2018. Restoring Internet Freedom will Boost Small Business Access to Broadband, Next Gen Innovation, Media Release, December 2017. Four Reasons Why Restoring Internet Freedom is Good for Entrepreneurship and Small Business, Small Business Insider, December 2017.